Our Recent Air Ducts & Attic Cleaning Projects Prove We Are No 1 In Houston! Have a glimpse into the experiences of people we have already helped – you could be our next satisfied customer. 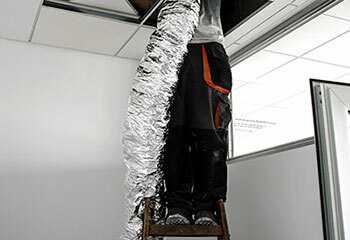 We approach every duct and attic cleaning job with pride and competence. Scroll down to learn more! Customer Issue: Mr. Stuart noticed that his laundry dryer vent was clogged with lint and overheating, so he called our team to clean it. Our Solution: Our technicians cleaned the customer's dryer vent and replaced the filter as the old one was the cause of the original buildup. We made sure the dryer was working perfectly fine before we left. Customer Issue: Ms. Murphy needed her air ducts cleaned after noticing bad odor coming out of them. 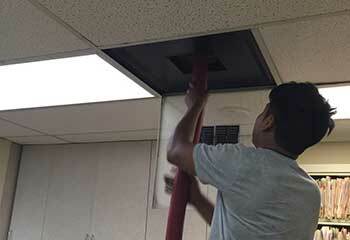 Our Solution: We started by performing air quality tests, although the odor was noticeable. We discovered mold in one of the ducts, and got straight to work cleaning and sanitizing using special (and safe) solutions. We also used mold prevention solution in order to make sure the problem doesn’t come back anytime soon and Ms. Murphy can enjoy a clean and healthy air indoors. 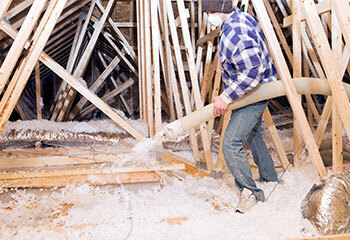 Our Solution: We have identified parts of the customer’s attic that could serve as potential entryways for the rodents before proceeding to seal and block them off. 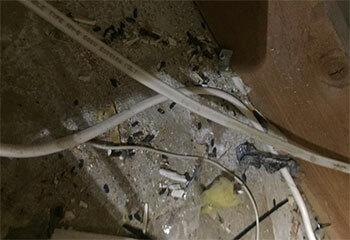 Luckily, we didn’t find any signs of infestation in the drywall, insulation, and other sensitive areas. Our Solution: As soon as our technicians arrived at the scene, they were able to identify critical flaws in the existing attic insulation. 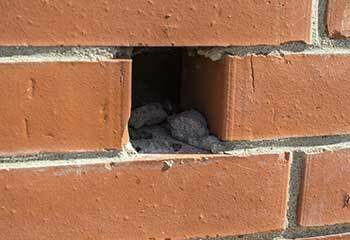 Cleaning up the infested insulation would not suffice – the insulation had to be removed altogether. 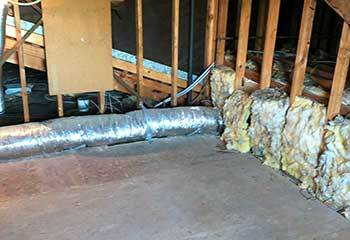 Customer Issue: Damaged air ducts. Our Solution: Our team inspected all the ductwork and found that the main duct by the furnace was bent in an angle that obstructed the flow of heated air into the house and was also slightly torn. We fixed both the bent section and the tears and made sure the air flow returned to its optimal state. 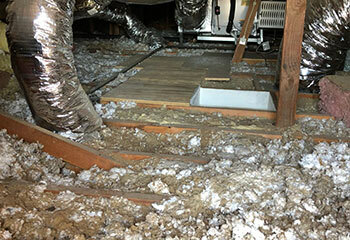 Customer Issue: Poor attic insulation. Our Solution: We identified the most sensitive areas and carefully sprayed closed-cell spray foam insulation for an airtight seal all-around. We paid particular attention to the expansion of foam and the surrounding structures. Customer Issue: Dusty indoor air. Our Solution: Following an in-depth inspection of the building, our team brought in specialized equipment and cleaning products, accessed all the intake and return ducts and other parts of the ductwork system and vacuumed, cleaned and completely decontaminated them. Our Solution: We used special foam to target areas that are common entry points of cold air. 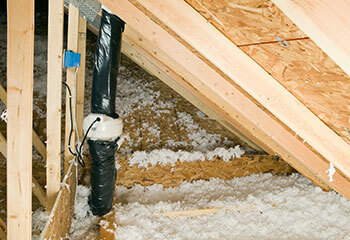 These include rim joists, around the electrical boxes and switches, around pipes, windows, electrical and cable lines. We then sealed the hatch and checked for drafting. 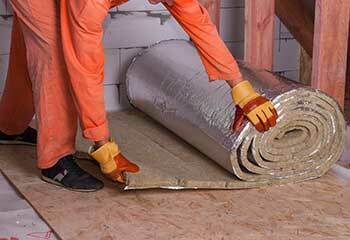 Customer Issue: Radiant barrier installation. Our Solution: We’ve installed the radiant barrier onto the attic ceiling. This way we’ve significantly reduced the amount of heat absorbed by the attic. The barrier now reflects the heat back to its source, leaving Mrs. Owen’s home cooler and more comfortable! Customer Issue: Dirty Air Ducts. Our Solution: Our technicians ensured the ductworks are cleaned to the highest possible standard. This way we purified the quality of air in the customer’s home, making sure only fresh, clean air is being circulated.